LC 00527. 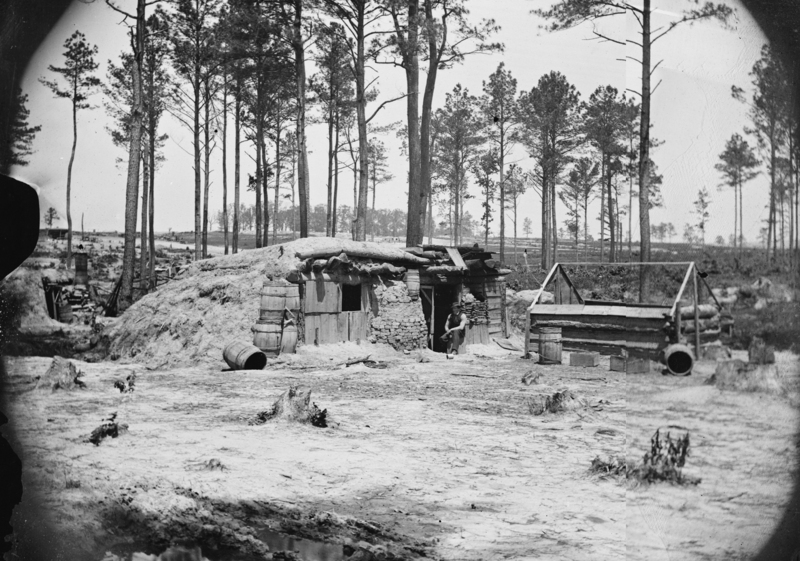 "Bomb-proof in front of Petersburg," stereograph by Timothy O'Sullivan (unattributed), April 1865. View looks north. Fort Stedman is in the distance on Hare House Hill inside the grove of hardwoods. The fort is visible under magnification. LC 00516. 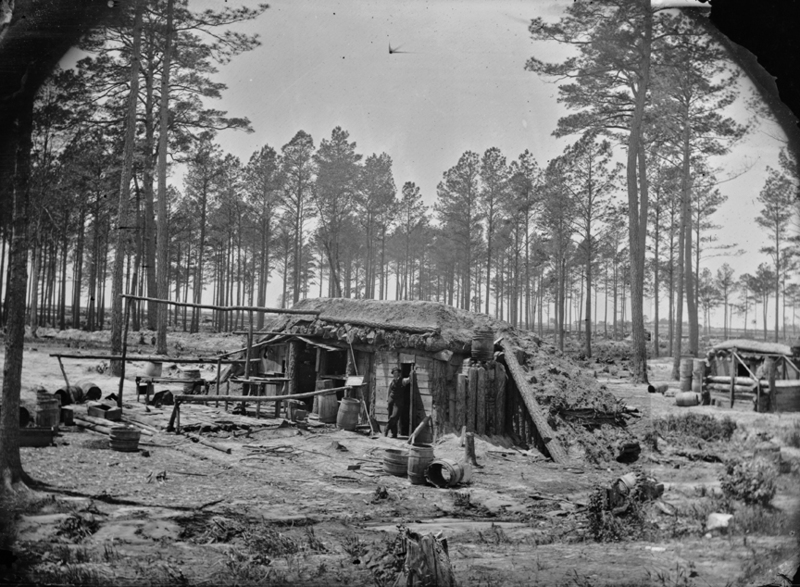 "Petersburg, Va. Bomb-proof shelter in Federal lines," stereograph by Timothy O'Sullivan (unattributed). View looks southwest. Fort Haskell is just at the right edge of the frame. LC 00516 detail. The bombproof at the right edge of this photograph is the same one featured in LC 00527. 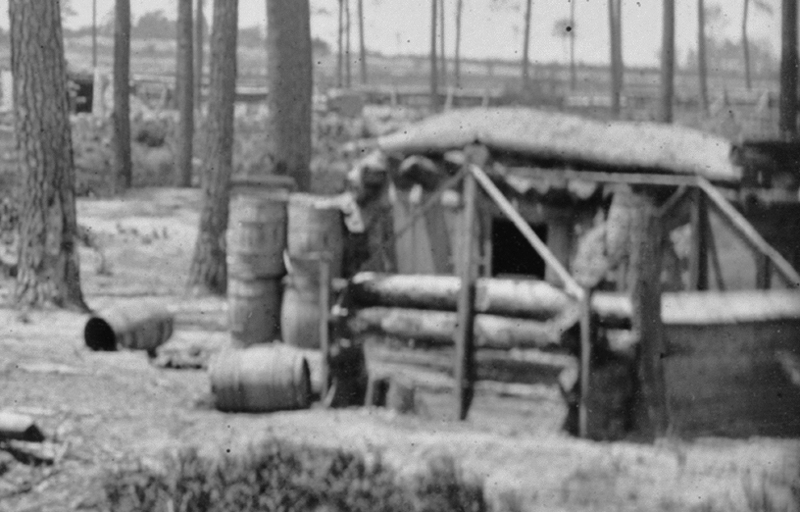 Many points of correspondence -- the roofless hut (viewed from an oblique angle), bombproof roof and underlying logs, positioning of barrels.